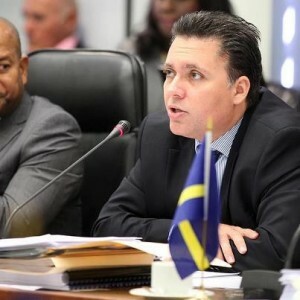 THE HAGUE, WILLEMSTAD – Just as we have announced before, the Kingdom Council of Ministers has dismissed the financial instructions given to the Curacao Government (Cabinet Schotte) in July 2012, during a meeting today in The Hague. This was confirmed by the Minister of Finance, Dr. Jose Jardim right after the meeting. The decision to eliminate these financial instructions, which was imposed by the Kingdom Government after mismanagement of public funds, came after the positive recommendations of the Committee for Financial Supervision (CFT). In a letter to the Kingdom Government, the CFT Chairman, Mr. Agge Bakker, indicated that it is the committee’s recommendation to the Dutch ministers to dismiss these instructions based on the compliance of the Government on the recommendations given by the committee. The most important recommendation was to balance the 2014 budget. Now the Curacao Government is not accountable to the CFT for its finances, only to the Parliament as in any democratic country.